Love might have many symbols, but the universally acknowledged symbol of love is nothing other than hearts. 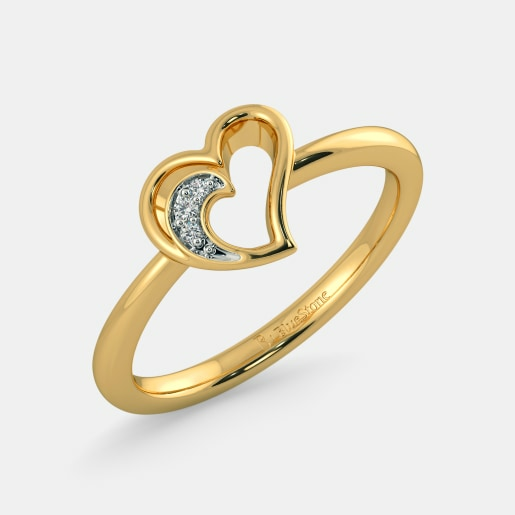 Whether you want to offer a piece of your heart to your loved one or cover yourself with oodles of self-love, a heart-shaped ring made of precious metals is all you need. Here is a collection from BlueStone for you to explore. 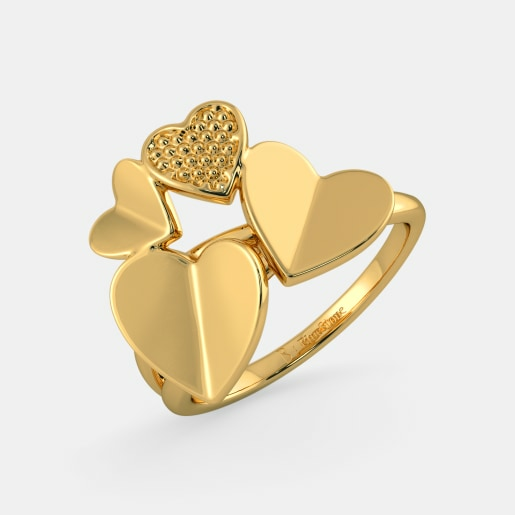 The gold hearts ring designs we offer will plead your case better than you do. From classic pieces to contemporary designs, from plain gold patterns to pieces set with dazzling stones, choose from this hearty collection to brighten up someone’s day (maybe even yours). If it is hearts you desire, this is where you are going to find them. For those who are in love, Valentine’s Day is not just another day. 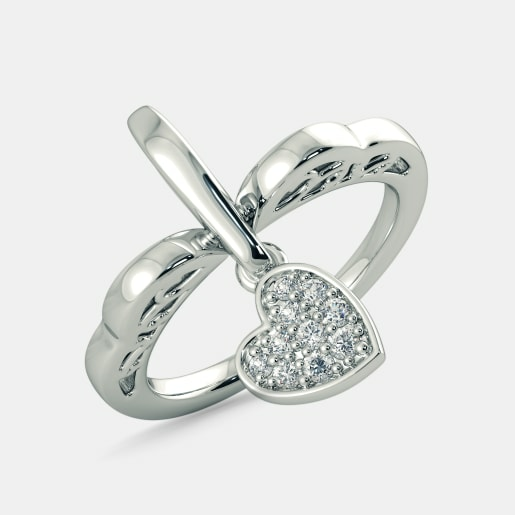 And what better way to spring a surprise to your loved one than with a heart-shaped ring? 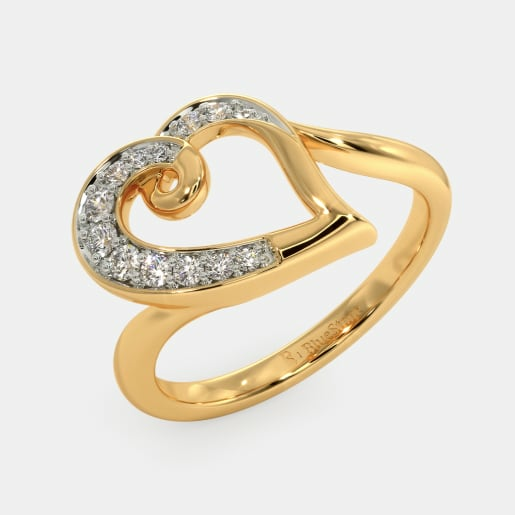 The Entwined in Love Ring depicts two heart-shaped outlines as the centrepiece of a gold band. 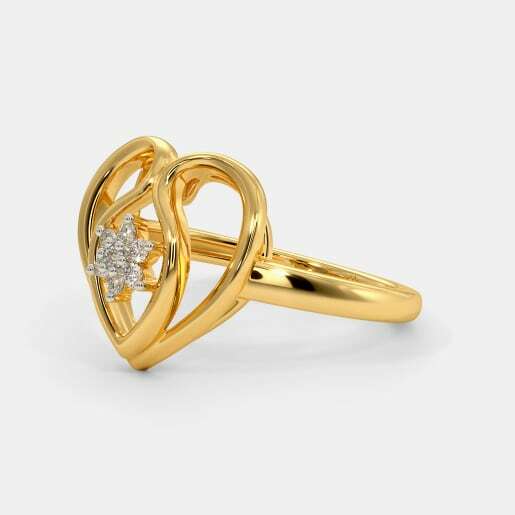 The Letizia Ring features another contrasting pair of hearts; one is formed by a gold outline while the other is encrusted with a dazzling array of diamonds. 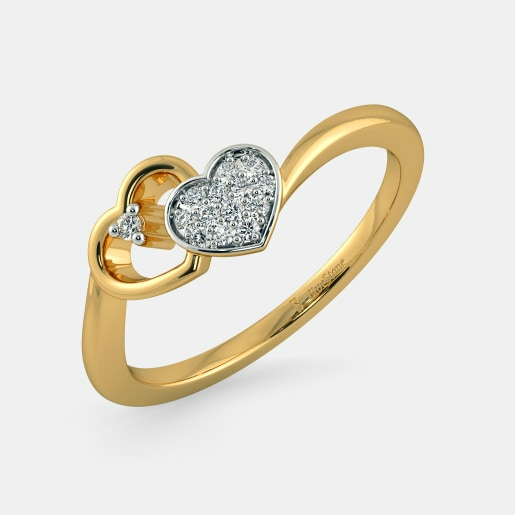 On the other hand, pieces like the Mirella Ring and the Carysa Ring hold heart-shaped stones of different colours. The Mirella Ring has a large, well-cut blue topaz that makes it an iconic piece while the Carysa Ring holds an amazing green peridot heart at the centre of its graceful design. 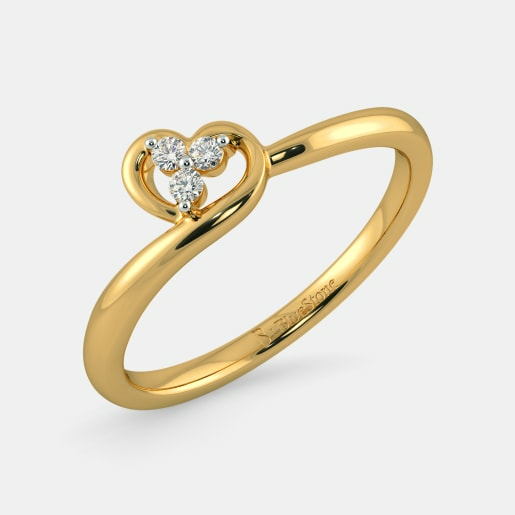 BlueStone offers a variety in gold hearts rings price besides its plethora of designs. 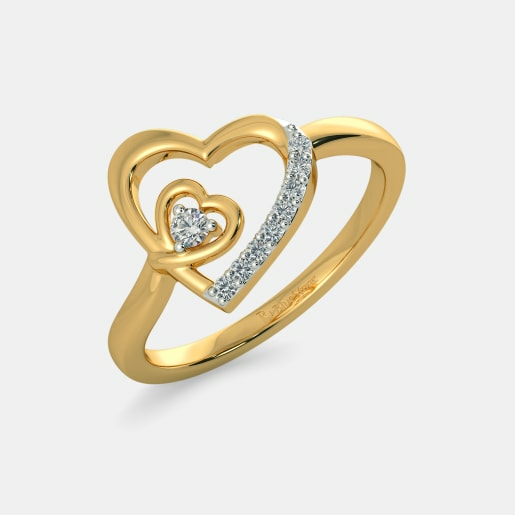 From budget-friendly Herze Ring to the exquisite Lanet Ring, your options are plenty when you buy gold hearts rings online from us. Go ahead and gift your partner or indulge yourself. This Valentine’s Day, choose a ring that speaks to your heart. 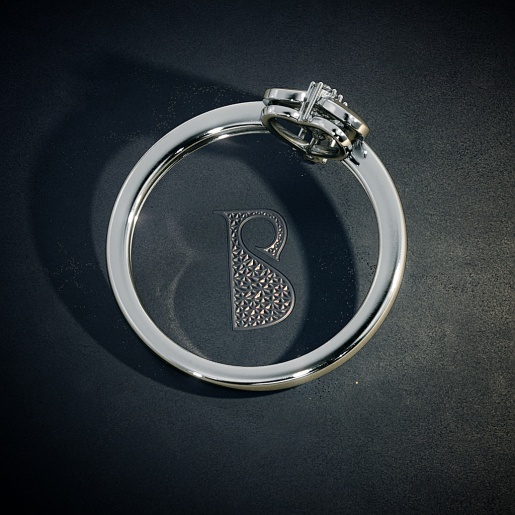 A couple band is a great way to send out the ‘I’m spoken for’ message and they are currently trending in the jewellery industry. 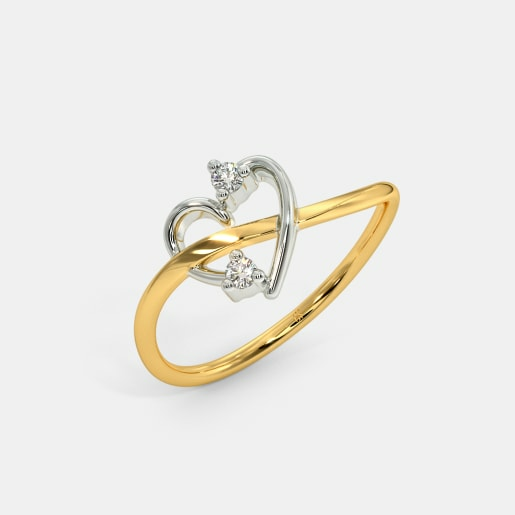 This collection offers contemporary pieces for your partner and you to declare your love with matching rings. For instance, the Darea Band for Her and the Maurice Band for Him depict the word ‘Je t’aime’ (which means ‘I love you’ in French) engraved in their gold body. 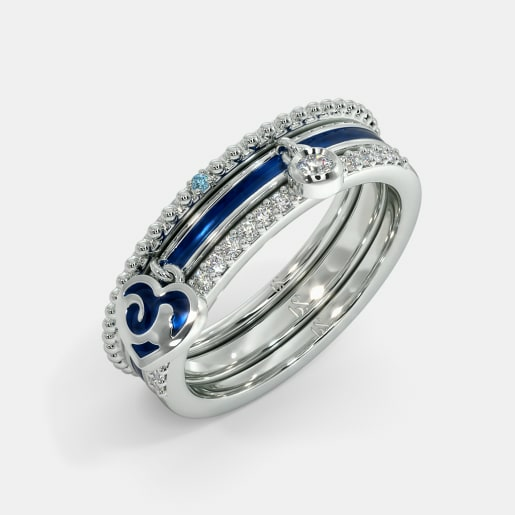 The Profound Love Band for Her and the Profound Love Band for Him are perfectly matched. 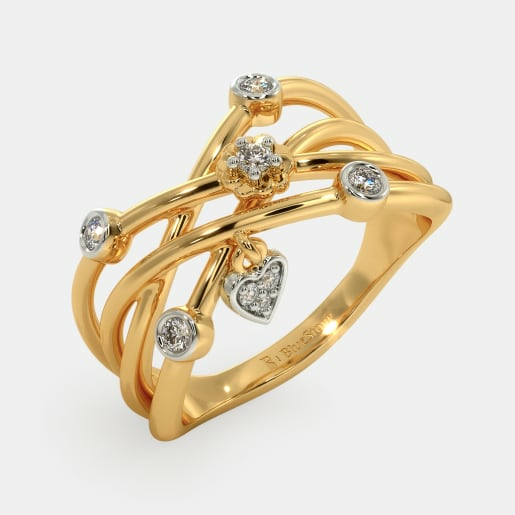 Made from gold, the centre of each piece depicts half a heart made by an outline of diamonds. So when put together, the centres form a perfect heart. A great way to say that your partner completes you, isn’t it? 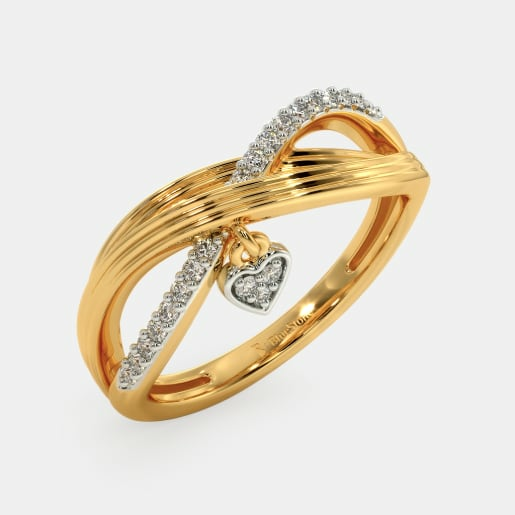 For two hearts beating as one, the Sparkle of Love Ring for Him and its female counterpart are the best picks. They both feature the outline of heartbeats against their gold body. The sparkling diamonds studded on these rings take their twinkle to a whole new level. 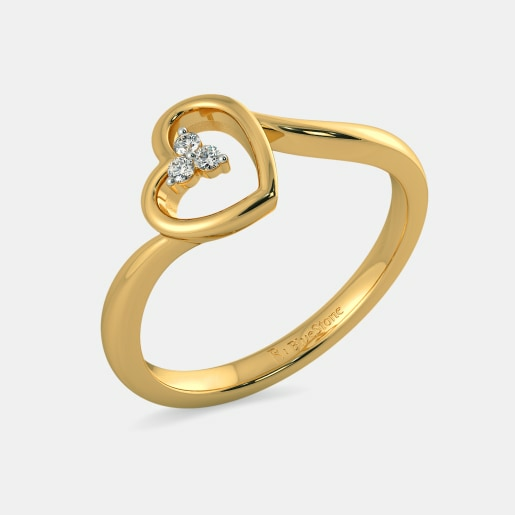 These are truly unique patterns fit for people who want ring designs without the ubiquitous heart symbol. 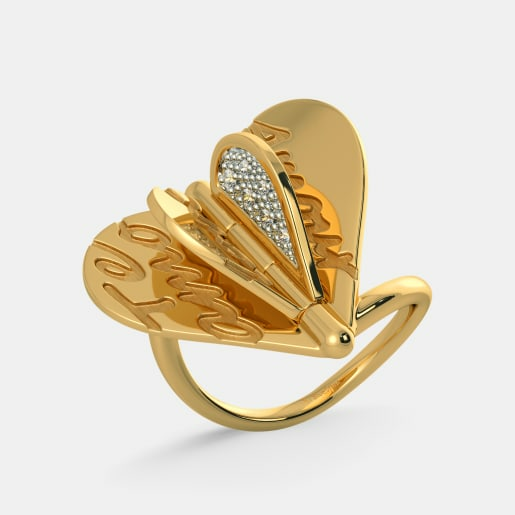 Take, for instance, the Rahel Love Ring. 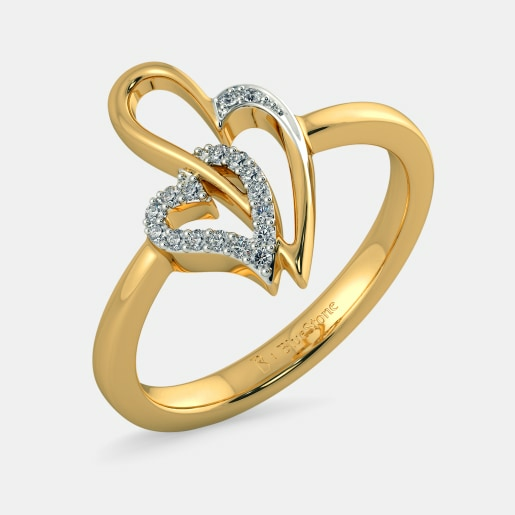 Unlike the Hearts Symphony Ring or the Lovers Hearts Ring, it doesn’t feature the heart shape anywhere in the design. It, on the other hand, has the words ‘True Love’ engraved on the inner side of the golden band. The Moses Band for Him is a similar design with the infinity symbol and the word ‘Love’ engraved on it. 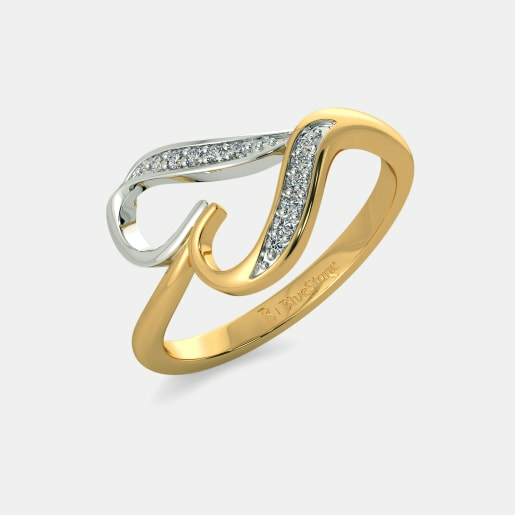 The Kyle Ring for him features the heartbeats pattern carved on the golden band in bright red. 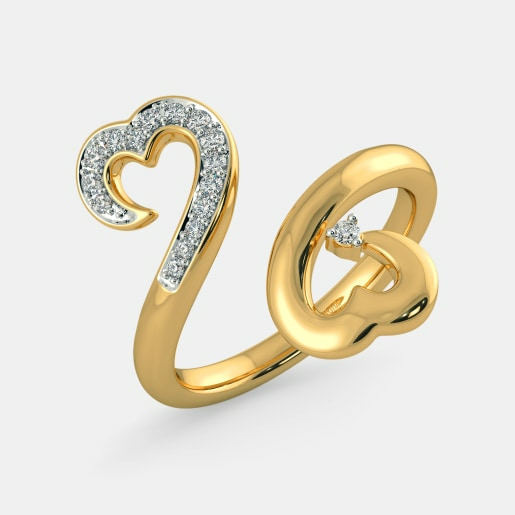 All these designs speak volumes of a loving heart without using that symbol. The Soulmates Ring and the I Love You Ring have the words ‘soulmates’ and ‘I love you’ carved around the band. 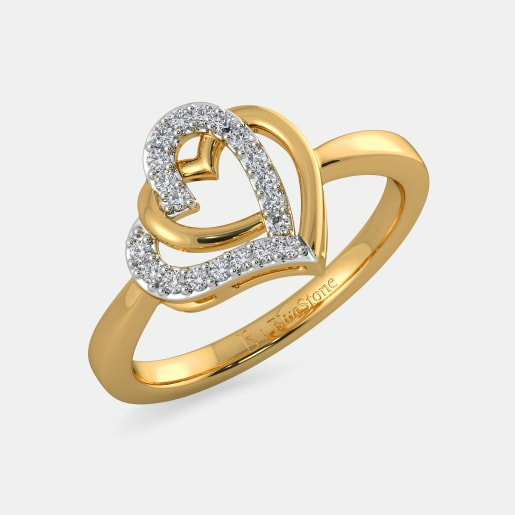 The Two Souls One Heart Ring and the Blessed Love Ring also are also some of the popular ‘heart-less’ designs for the hearts that are in love! 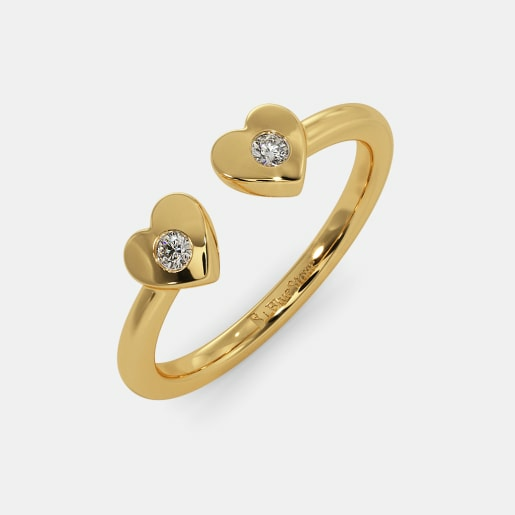 This collection of gold hearts ring designs allows you to wear your heart on your sleeve – quite literally. With subtle designs that are geared to suit both men and women, these rings can even be considered elegant accents to your work-wear. The Tamsung Ring, the Leza Ring, and the Caramella Ring are some of the pieces you can consider from our workwear range. Our everyday collection includes simple designs like the Ihaan Ring and the Kerenza Ring. 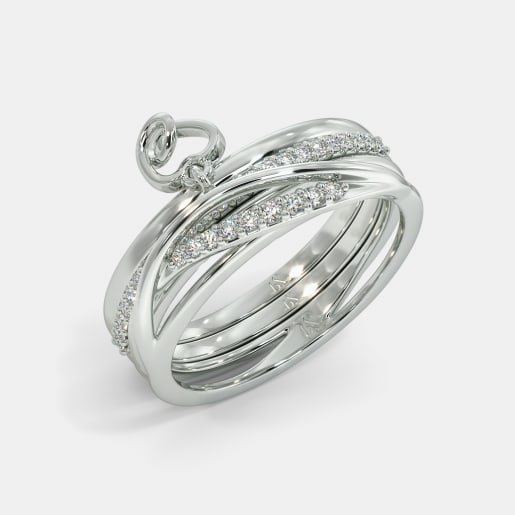 For a slightly bolder piece, choose the Veidah Ring. It has its heart-shaped centre filled with diamonds and a smaller heart made with a deep red garnet within it. Other sparkling pieces in our everyday collection include the Nayelle Ring, the Erasmus Ring, and the Cora Ring. The rules of love are changing; you no longer have to wait for a special day to surprise your partner and thanks to BlueStone’s reasonable pricing, there is nothing standing in the way of you and your favourite ring! You also don’t have to wait for your partner to buy you jewellery. If you are browsing through and something catches your eye, go ahead and indulge yourself. After all, you got to love yourself first, don’t you?